Working with DeBorba Events to plan different aspects of your big day can be the difference between guests wishing the occasion was over and wanted the party to last all night. This company focuses on the reception and the celebratory aspects of the event. From expert disc jockeys to lighting technicians and more, this team is there to take you through a detailed checklist of what needs to be done in order for you to have the most successful day possible. 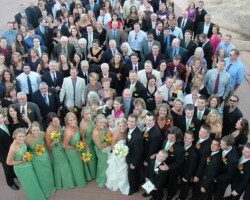 A wedding planned by Superior Events is one that stands out. Each member of this company is not only focused on their clients, but focused on the details of the big day. This approach means that the bigger picture is always flawless. From being a coordinator to a consultant and organizer, this team is there for you in whatever capacity you may need them. They offer their expertise and guidance to make sure the final results of the planning are exactly what you have always wanted for your California wedding. 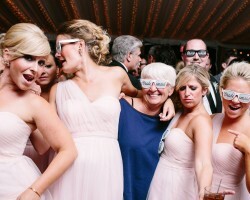 Lindsay Lauren Events is not like other planning companies in the area. 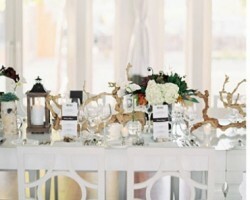 The team at this company has an incredible eye for event design and wedding coordination. What makes this certified team the best is that they offer different packages for couples that are at different stages of the planning process. They can be used as a resource only to help you find the top vendors or they can be used to plan an entire destination wedding and ceremony to eliminate any possible planning stress. Weddings By Roberta is a company that offers everything from wedding officiants to wedding planning and completely personalized assistant services. As a wedding planner in Stockton, CA this kind of versatility is perfect for couples that want to work with fewer vendors in order to organize and design the big day. Roberta and her team have years of experience with all aspects of making a wedding special. If you would like to be sure that you are going to have a memorable and beautiful day then you need to work with this team. Event design is not something that everyone has a knack for. If you need some help making your day come together then Savvy Event is there to help. 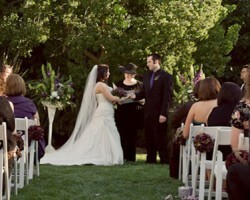 As local Stockton wedding planners, each member of this team works towards total customer satisfaction. They will walk you through all of the decisions that need to be made and all of the options. They will make you feel like a celebrity as they work to plan your wedding and keep you on budget in the process.